Pawel Drozdowski received his B.Sc. and M.Sc. degrees in Computer Science and Engineering from the Technical University of Denmark (DTU) in 2014 and 2016, respectively. He subsequently became a Ph.D. student member of the da/sec group at Center for Research in Security and Privacy (CRISP). Currently available bachelor/master thesis projects are listed on this page. If you have your own idea for a project related to my research interests, please contact me by e-mail. Pawel Drozdowski, Christian Rathgeb, Christoph Busch, „Turning a vulnerability into an asset: Accelerating Facial Identification with Morphing“, in Proc. International Conference on Acoustics, Speech, and Signal Processing (ICASSP), Brighton, UK, May 2019. Pawel Drozdowski, Daniel Fischer, Christian Rathgeb, Christopher Schiel, Christoph Busch, „Database Binning and Retrieval in Multi-Fingerprint Identification Systems“, in Proc. International Workshop on Information Forensics and Security (WIFS), Hong Kong, December 2018. Dailé Osorio Roig, Pawel Drozdowski, Christian Rathgeb, Annette Morales González Quevedo, Eduardo Garea Llano, Christoph Busch, „Iris Recognition in Visible Wavelength: Impact and automated Detection of Glasses“, in Proc. International Workshop on Ubiquitous implicit BIOmetrics and health signals monitoring for person-centric applications (UBIO), Las Palmas de Gran Canaria, Spain, November 2018. Pawel Drozdowski, Florian Struck, Christian Rathgeb, Christoph Busch, „Benchmarking Binarisation Schemes for Deep Face Templates“, in Proc. International Conference on Image Processing (ICIP), Athens, Greece, October 2018. Pawel Drozdowski, Surabhi Garg, Christian Rathgeb, Marta Gomez-Barrero, Donghoon Chang, Christoph Busch, „Privacy-Preserving Indexing of Iris-Codes with Cancelable Bloom Filter-based Search Structures“, in Proc. European Signal Processing Conference (EUSIPCO), Rome, Italy, September 2018. 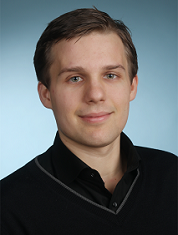 Pawel Drozdowski, Nikolai Wiegand, Christian Rathgeb, Christoph Busch, „Score Fusion Strategies in Single-Iris Dual-Probe Recognition Systems“, in Proc. International Conference on Biometric Engineering and Applications (ICBEA), Amsterdam, Netherlands, May 2018. Pawel Drozdowski, Florian Struck, Christian Rathgeb, Christoph Busch, „Detection of Glasses in Near-infrared Ocular Images“, in Proc. International Conference on Biometrics (ICB), Queensland, Australia, February 2018. Pawel Drozdowski, Christian Rathgeb, Heinz Hofbauer, Johannes Wagner, Andreas Uhl, Christoph Busch, „Towards Pre-alignment of Near-infrared Iris Images“, in Proc. International Joint Conference on Biometrics (IJCB), Denver, USA, October 2017. Pawel Drozdowski, Christian Rathgeb, Christoph Busch, „Multi-Iris Indexing and Retrieval: Fusion Strategies for Bloom Filter-based Search Structures“, in Proc. International Joint Conference on Biometrics (IJCB), Denver, USA, October 2017. Pawel Drozdowski, Christian Rathgeb, Christoph Busch, „SIC-Gen: A Synthetic Iris-Code Generator“, in Proc. International Conference of the Biometrics Special Interest Group (BIOSIG), Darmstadt, Germany, September 2017. Master of Science in Engineering, „Efficient biometric identification in Large-scale iris databases“, Technical University of Denmark, June 2016. Bachelor of Science in Engineering, „Multi-agent programming in Jason“, Technical University of Denmark, June 2014.